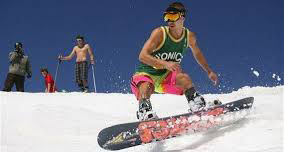 Close Out Your Season At Hunter Mountain With OvRride!!! 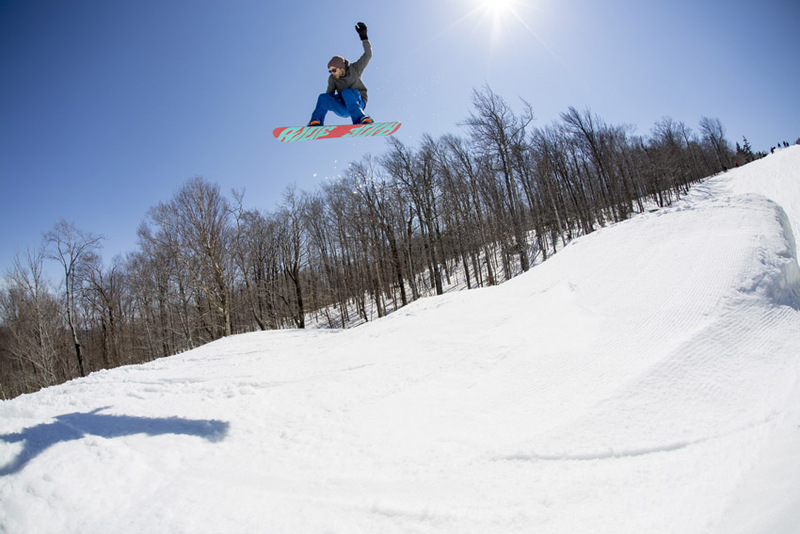 It is the final countdown to the 2014-2015 season at Hunter Mountain! 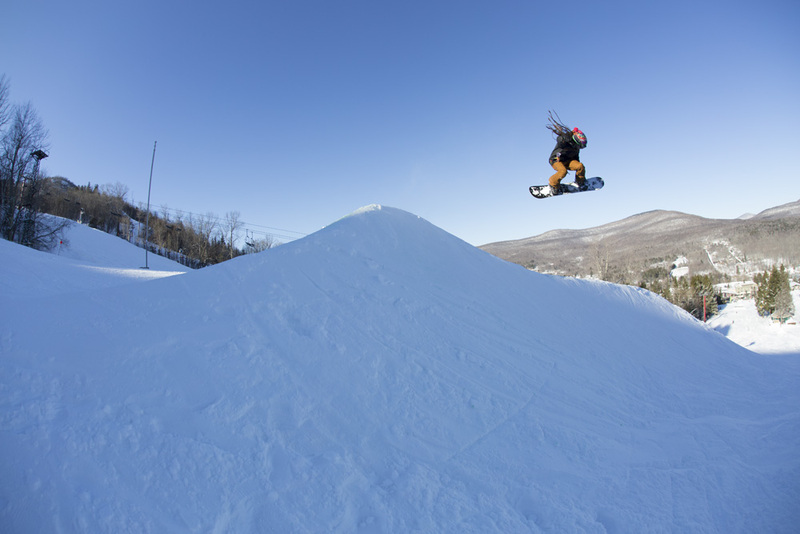 Though we are sad to see it end, Hunter Mountain had some of the best conditions that we saw all year. With one of the heaviest bases in the nation we are so stoked to be able to claim it as one of our home mountains. OvRride is excited to be heading to Hunter for their final weekend to make some soft turns and have a lot of fun! 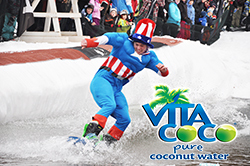 Go out with a splash Saturday (4/11) with the Vita Coco pond skimming and beach bash! They have prizes for BEST SKIM, BEST COSTUME and BEST SPLASH! If you have what it takes to to get wacky and blast through 80 feet of ice cold water then this is the place to be. The theme this year is GO COCO NUTS! So it should definitely bring out some summer time attire worthy of some serious bails. Wether a spectator or participant this event will surely make you smile from ear to ear! This event is limited to 75 participants so SIGN UP TO SKIM TODAY!! The deck at Hunter will also be transformed into a “Beach Oasis” with live music from Funk Evolution and Scottie’s BBQ! So get your Beach Garb ready and get on the bus, It will be a guaranteed good time! BEST SPRING CONDITIONS ONLY A COUPLE HOURS AWAY!!! GET AFTER IT AT HUNTER THIS SATURDAY!! The weather report for sunday is looking beautiful. With temperatures in the mid to lower 60’s you could easily wear your bathing suit and start working on your summer sun tan! The last day of the season is always a wild one at Hunter! Everyone on the mountain is in good spirits, celebrating another epic season! The Empire Park crew has assured us that every feature will be ready for all you shredders out there as well. With the landings soft, everyone will be sending it into SPRING for sure! SEND IT INTO SPRING WITH OvRride!!! 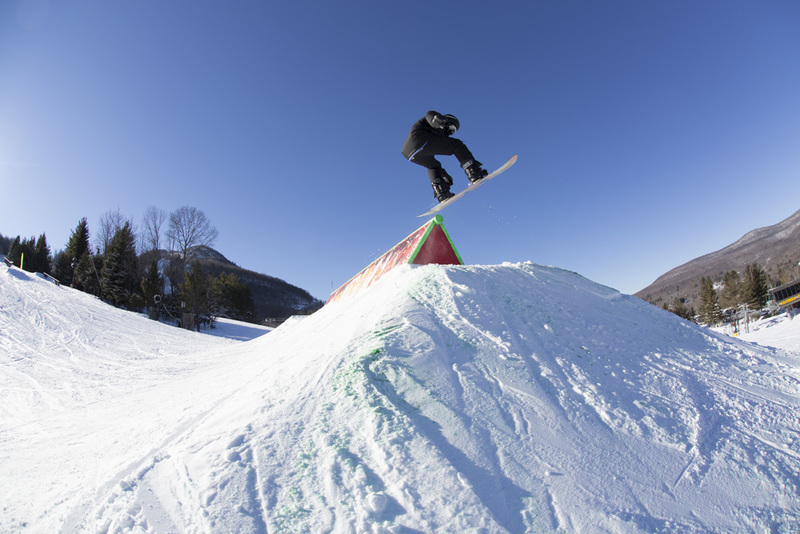 The Empire Park crew has assured us that the features In the park will be perfect on the last day of the season! With soft landings on every jump everyone will be pushing the limits with style!! GET AFTER IT AT HUNTER THIS SUNDAY!! This entry was posted in Chris's Blog, News, OvRcrew, Trips and tagged Hunter, Hunter Mountain. Bookmark the permalink.